“It’s really funny to me when people have this idea that I have things very put together. My life is a bit of a mess, and I don’t broadcast that, but I like it that way,” she reveals in an interview with Redbook. Lauren only learned this lesson after years of believing she had to do it all on her own, in addition to thinking her life, family and business had to “look picture-perfect.” She’s realized the truth is much simpler, especially since the birth of her one-year-old son, Liam. “I like to focus on the prettier parts of life, but that doesn’t necessarily represent all of it,” she shares. Conrad admits she does “feel bad” about the “high standard” that has been set for anything and everything, which she might have contributed to with her seemingly-perfect life, but it took a lot of learning to get where she is today. While she may say she doesn’t have it all together, Lauren is still doing an amazing job considering she is a designer, best-selling author and philanthropist, not to mention she is a mother to an infant. Hence the reason why she turned down the opportunity to return to The Hills. 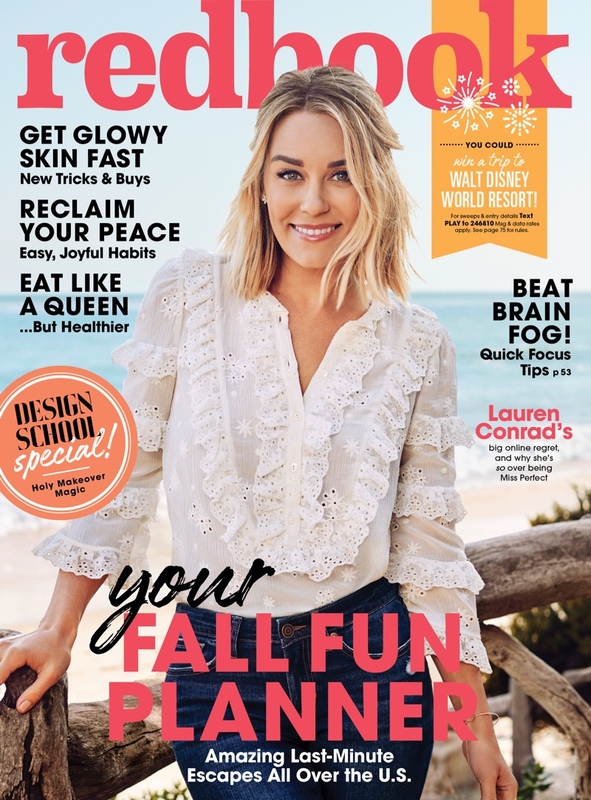 Lauren Conrad shared a new LC Lauren Conrad Collection last week on her website. Take a look at the LC Lauren Conrad Weekend Collection! It’s time to get cozy, ladies. To supplement my usual new arrivals, my LC Lauren Conrad Weekend Collection is now available at Kohl’s online and in-stores. The inspiration? It’s a little personal. I work from home a lot, and let’s just say that answering the door in raggedy pajamas just wasn’t cutting it anymore. I wanted a comfortable PJ alternative that could be worn both around the house and while running errands. The result is my latest collection and I couldn’t love it more if I tried. From soft and chic off-the-shoulder sweaters to the perfect pair of joggers, you’ll never want to take these pieces off. Lauren Conrad recently gave us a look into her LC Lauren Conrad Summer 2018 Collection for Kohl’s. You can shop the entire collection here. I have added the photos of that shoot to our gallery. Enjoy!